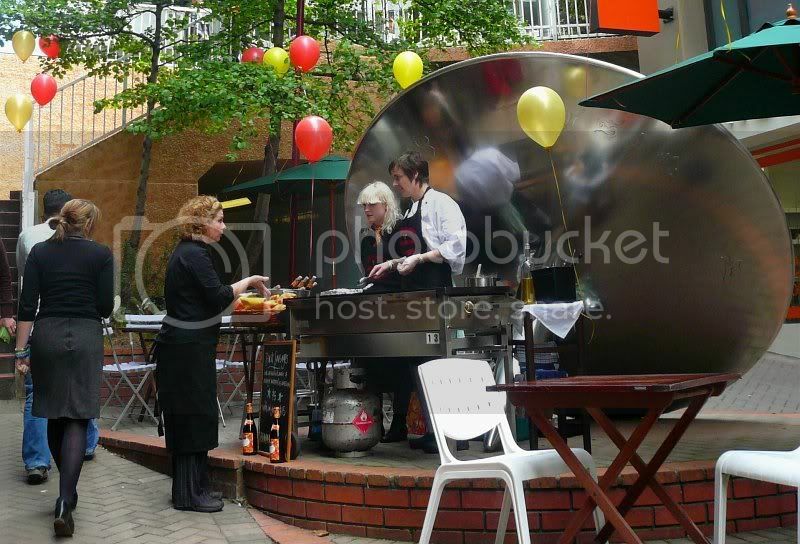 Thursday, and one posh sausage sizzle. Duck sausage in a croissant, with this year's Beaujolais Nouveau. I'm kind of regretting not having one. Perhaps it's true that you regret the things you don't do more than the things you do. Yeah, that'd be nice. Are they only there today? Two days ago now, for the release of the new Beaujolais. Apparently, this is an Event. Would they have sold me a glass of the Beaujolais without the sausage-inna-bun?